Toyfinity has updated their store front with some new colorways of their Mordles, Robo Force and Zeroids sets. 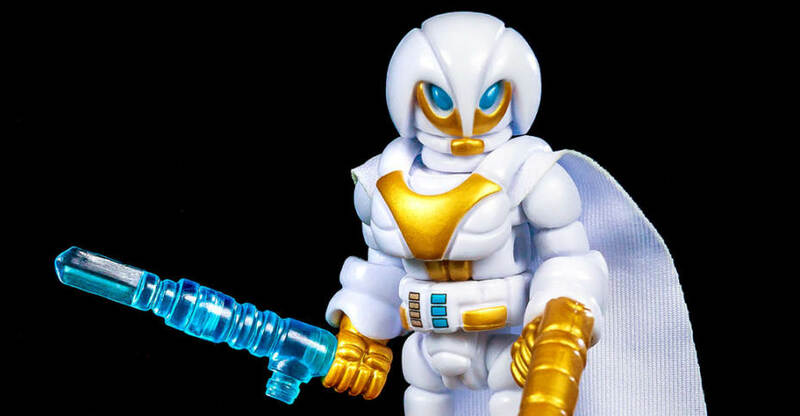 The update includes the Zeroid Zerak, which is based on the classic Zeroids figures, a new version of Maxx Zero known as “Destroyer Maxx Zero”, a new Knight of Illumination, which is a new take on their Knight of Darkness, and more. Check out the details below and see the images after the jump. In addition to the new items, the long in development update to their Robo Force Comic is coming soon. You can order any of the items by Clicking Here. He is the destroyer of all who oppose the Zeroids! Completes the Classic Zeroid® Editions started last year with Classic ZINTAR®! Combine him with Destroyer Maxx Zero™ to create SUPER DESTROYER! Unleash the power of destruction! Combine him with Classic ZERAK® to create SUPER DESTROYER! Special crossover with Onell Design! As Darkness Fell, so must the Light Arise! This all-new Knight may be friend – and foe! releases for maximum building potential! Includes bonus DARK TRAVELER parts for a variety of looks! the Darkness Soldiers are stronger than ever! Blank blue at a special price! Servants of the Knight of Illumination™! includes one Glyos® compatible Nazarran head to boost your armies! the Tyrant returns in all-new regal GOLD! (Nazgar head only – build a full Nazgar by combining with any Robo Force and Zeroid kits! Our friends at Toyfinity have released some great new collectibles for their fans to purchase. These include a new “Classic Edition” Robo Force Kit, a new Zeroid and a new Darkness Soldier. kit, with all-new premium paint applications (no detail lines)! Add this classic character to your collection at last! 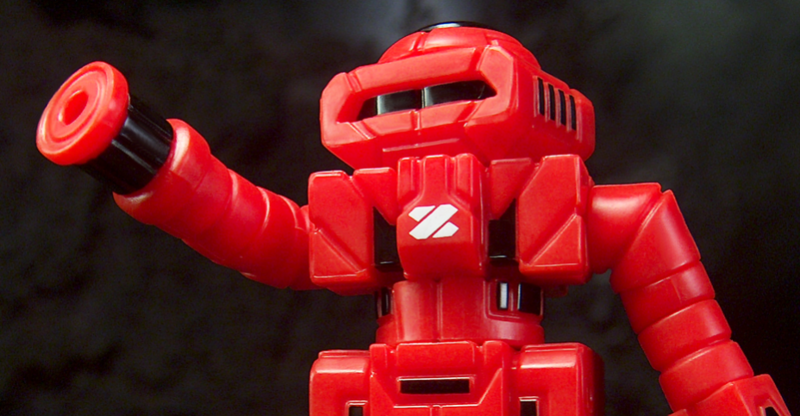 Standard forty-one piece fully Glyos-compatible Robo Force® kit, with no paint applications! All-new third edition of the ZEROID® kit – in classic WHITE! Where other Darkness Soldiers™ fail, the LEGION prevails! Horrible brain creatures of Nazgar™! Check out a few photos by reading on. You can order these items by Clicking Here. MAXX ZERO and the Robo Force had gained new friends in Neo Zeroid Assassin and Zeroid Striker, as well as a new mission: find the Prime Zeroids and unlock the secrets of planet Zeton! The journey took Maxx, his second-in-command and hotheaded brother-in-arms Sentinel the Protector, Assassin, and Striker deep into sections of the galaxy untouched since the explorations of the STAR TEAM generations before. The signal of a Zeroid Sensor Station drew the Force’s attention; Assassin demanded they investigate, in case any Zeroid was still functioning on the planet. led by the first-constructed of Zeroid Zemo himself, ZEMORIAN (picture coming soon!). Burnt-out circuitry and faulty memory chips had driven Zemorian into a paranoid state. He believed that any visitor to the planet was trying to take their jungle away – and would have to prove their claim to the planet by undergoing Zemo’s test – the Great Hunt. Stripped of their weapons, Maxx and the team must once again find a way to prevail over a superior foe – another impossible mission for the Robo Force! What the Hunters did not know was that another group had tracked their signal – a group that believed the resurgence of the Zeroids would lead to the destruction of the universe. And so, it was time for the shroud of Darkness to fall once again. The DARKNESS SOLDIERS entered the jungle with simple orders – bring back any mechanoid powered by a Z-Core (the energy source at the heart of the Prime Zeroids AND Maxx Zero) and destroy the rest. Who will survive this conflict of wills in the primal elements of a planet untamed by technology or men? The Hunters? The Hunted? Or a literal legion of Darkness? You can see a few photos by reading on.